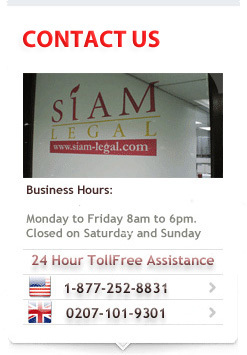 The VOA or Visa on Arrival in Thailand is available to certain nationalities. Some may only receive 15 days, others have to apply for a tourist visa before they arrive in Thailand. The VOA or Visa on Arrival normally cannot be extended as it is viewed as a temporary tourist visa. Check if your country is allowed to have a 30 day visa on arrival, 15 day visa on arrival or if your country is excluded from the visa on arrival in Thailand. There are certain requirements for the VOA. The person must have at access to at least 10,000 Baht per person or 20,000 baht per family when obtaining a visa on arrival at one of the checkpoints in Thailand.The person or persons arriving and applying for the visa on arrival in Thailand must have a fully paid ticket out of the Kingdom which is dated at least 15 days after arrival. Much like the Thailand tourist visa, they may extend it on medical grounds such as having an accident and not being able to travel. Again, speak to an attorney about the extension process.